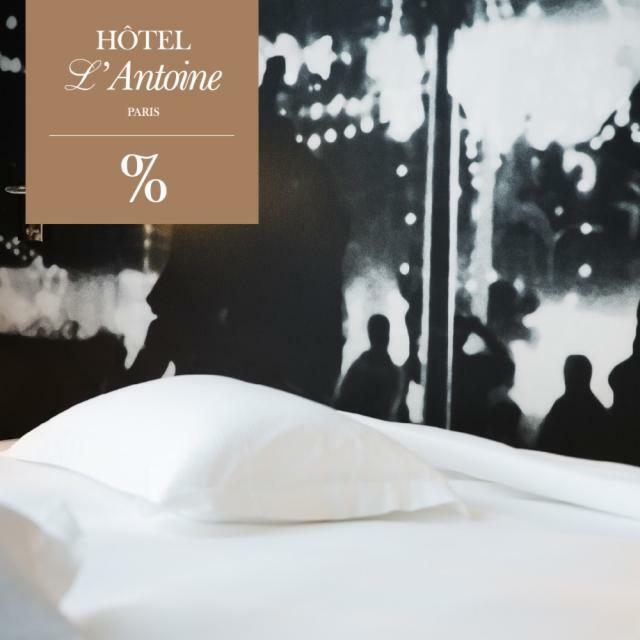 Close to La Bastille, on the corner of Rue de Charonne and Fg St Antoine, The "The Antoine" hotel will open in early 2015. 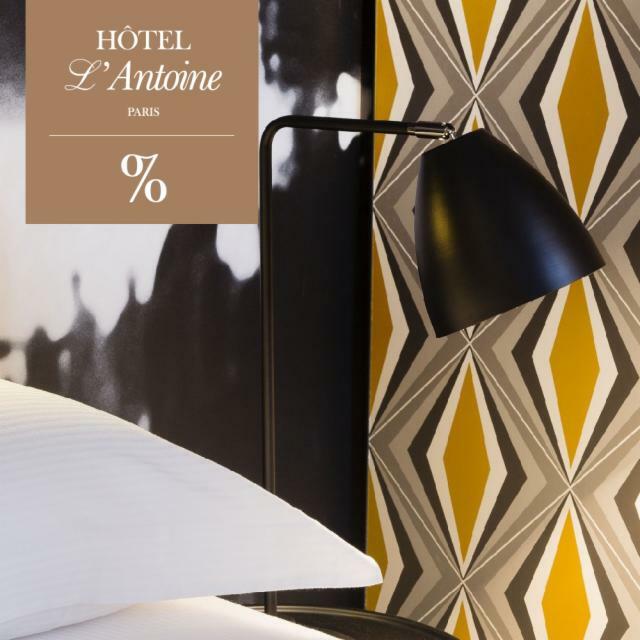 Located on the site of a former convent of the 17th century, frequented Baudelaire, this contemporary three-star superior with 38 rooms, combining comfort and technology, decorated with panache by Christian Lacroix. "The Antoine" offers a wide range of quality services: sauna, fitness, shop. 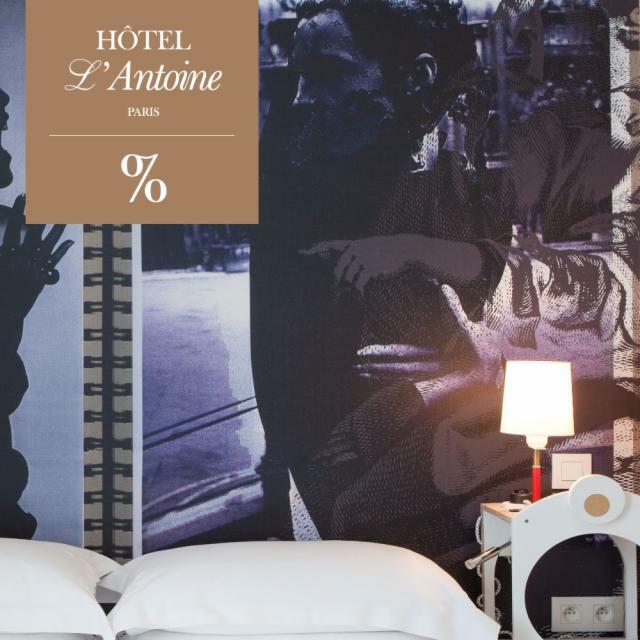 Eager to anchor "The Antoine" in his home district, Christian Lacroix has made numerous research so that this delightful hotel resonates with artisans, artists galleries, mythical places and history. Each floor refers to a particular memory of Christian Lacroix has lived much and enjoyed this area in the years 90-2000. The "Technology" stage refers to the raw material, concrete, and recycled materials; there are such famous bedside tables Rémi Perret. "Contemporary", more colorful floor, remember decorating and artists galleries of the area in the 20th century. "Dissidi" is a tribute to The House of the same name; famous manufacturer of fine furniture, Restoration and copy furniture from the Renaissance to the 18th, located close to the hotel. The stage "Workshop for Artists," reflects the bohemian life of artists in this district combining raw materials and natural colors. Finally the "Balajo" the more graphic and dynamic decor, symbol of the legendary Parisian prom, 50- 60 years. Vary in size from 12 to 30m2, all rooms; Classic, Superior, Deluxe, Junior Suites and Suites are individually decorated and feature air conditioning, safe, mini bar, free wifi, courtesy tray (tea and coffee in the room), hairdryer. For your convenience, Suites and Junior Suites offer a Nespresso machine, slippers and bathrobes. Trendy area where you can both enjoy the many bars as Armagnac Café, the Bistrot du Peintre; restaurants and "Neobistrots" as Nanas, Dersu or cult Septimus and his little sister Bistrot of Clamato sea, shopping at Soweare concept store, at Isabelle Funny or Repetto but also out in the most advanced areas of the Badaboum the capital or the ever ran Barrio Latino. Best prices and exclusive rates on our official website !